Signing a contract when the two parties meet does not raise questions about the validity of the document. But signing the contract online still requires clarifying the concepts in order to fully define the area of responsibility of each of the signatories. Signing a contract is the final stage of documented agreement between the contracting parties. It is not necessary that there are only two sides. When contract is already signed it receives legal force, and the signatories have mutual obligations and rights. In case of violation of mutual rights and obligations, any of the parties to the agreement has the right to seek legal assistance, referring to the signed contract as a document with full force. For assertion of their rights, it is often enough to have only a contract and accompanying documentation. The contract may determine not only the appearance of any obligations, but also the continuation of cooperation, and the termination of mutual rights and obligations. 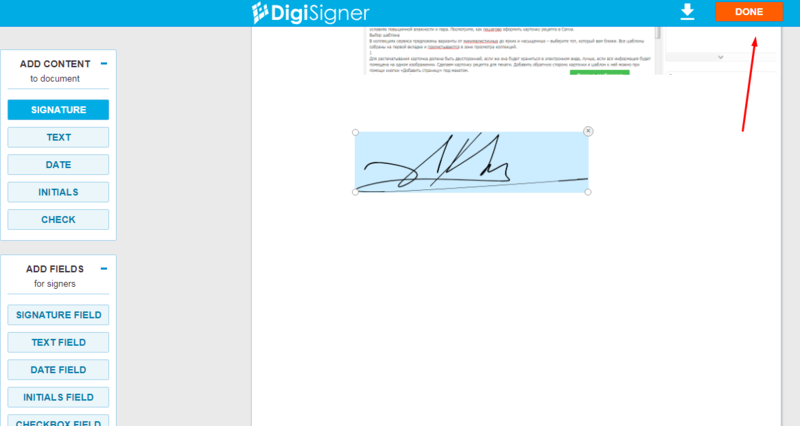 How to sign a contract online with DigiSigner? To put an electronic signature in the contract, thereby confirming its acceptance of its provisions, you can use the service DigiSigner. Signing a finished contract takes place in several steps. The first is registration and authorization. The document is added for the signature via the “Upload document” button. You can also download it from the Dropbox or Google Drive. The downloaded document will appear at the top of the list. To sign first, click “Sign”. If you want firstly send the document for signature to other parties of the contract – “Send for signing”. Select the desired place in the document to sign and click “Signature”. Pop-up window will appear for selecting an electronic signature: enter text, sign using mouse or touchpad, upload a signature image or other authentication details. The signature can be resized directly in the document. After that, click “Done” or save using the download button. You can follow the process of signing by other parties to the contract in the “Waiting for others” section. “Signed” – such a comment is received by documents in which your signature has already been left. In contracts that mark the beginning of a business relationship, both parties have equal legal weight. The parties that sign the document, which are called signatories, must make sure that their details are indicated in the document. It should be full name, position, company name. 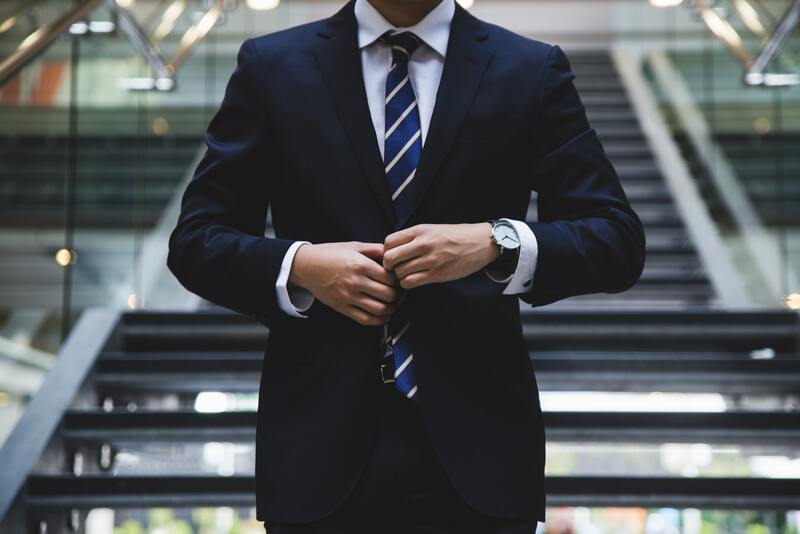 When it comes to a contract between two organizations, official representatives or a legal entity and a company, a representative may take part in the signing. This representative puts his signature, and in the documents must be indicated all his personal details. But at the same time, the contract states that one of the signatories transferred the right to sign to the representative and there must be legal grounds for this situation, which means that a power of attorney is required. Is a online signature required? For a contract to come into force and be enforceable on all points, it must be signed by all parties involved. It is impossible to demand the fulfilment of obligations from a legal or natural person, if the document does not contain its signature. On the other hand, if there is a signature in the document, there are all reasons to expect and demand fulfilment of obligations. Only if there is a signature in the contract, a person has the right to defend his rights in accordance with it, having fulfilled all obligations. However, the document can be viewed from a different angle. If an natural or legal person has fulfilled the requirements, it is considered that the contract is also fulfilled. But he has no right to demand the same from the other side. In some countries, consent to conclude a written contract is an obligation to fulfil it. Even if the signature is not put to the document, such a document is subsequently recognized by the court as having legal force. This is especially true of contracts for the provision of urgent services. In the case of the conclusion of any type of contract, the signature will be a key point in the recognition of the legal force of the document, the rights and obligations of all signatories. The signature also indicates the date when contract entry into force, unless otherwise indicated in the text. Who signs the online contract first? Legally it does not matter who first put his signature. The drafting of the document is usually done by both parties to the agreement, sometimes template contracts are provided immediately with the signature of the service provider. Then only the second side put its signature. In practice, it is recommended to sign the document second in line. So, it will be possible to note any changes in it, as well as make sure that the first party to the agreement signed it in the same form.